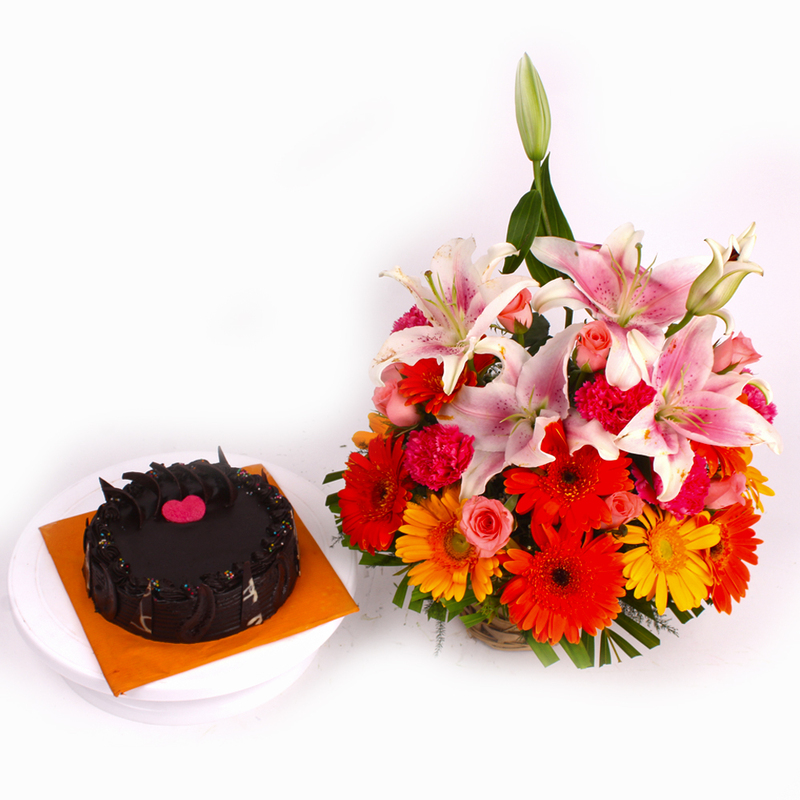 Product Consist : Basket of 25 Mix Seasonal Flowers includes Lilies, Gerberas, Roses, Carnations along with 1/2 kg Chocolate Cake . Keep the connection alive among friends and families even when you are not there to celebrate with them on special occasion and festivals. It comes with beautiful basket of well bloomed, fresh and elegant containing Lilies, Gerberas, Roses, Carnations that speaks volumes of your good wishes for them. They have been arranged in small baske that makes it easy to keep them any corner of office or home. 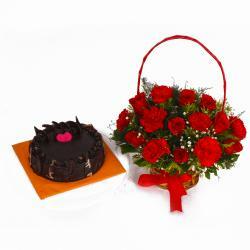 This Flowers Basket is a accompany with 1/2 kg Chocolate Cake. This unique gift combo can be sent on Birthday, Anniversary, Diwali, Get Well Soon, Lohri, Fathers Day even festive seasons. Thus, send this alluring Gifts to India through Giftacrossindia and make your recipient feel extra special. This gift hamper contains : Basket of 25 Mix Seasonal Flowers includes Lilies, Gerberas, Roses, Carnations along with 1/2 kg Chocolate Cake.